On June 10th, The Wall Street Journalpublished an opinion piece expressing the need for a call to action to promote understanding in our global communities. The authors cited several recent prejudicial based disturbances; most having occurred in European cities whose populations are comprised of a variety of cultures and ethnicities. We see the value in exposing students to their international peers with the hope that the insights they gain will foster a global outlook that will lead to acceptance and open-mindedness. 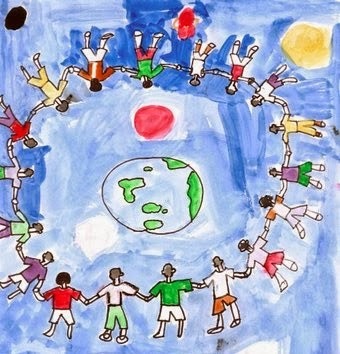 Cultural awareness, especially at a young age, can pave the way for tolerance, understanding, and apprecciation. 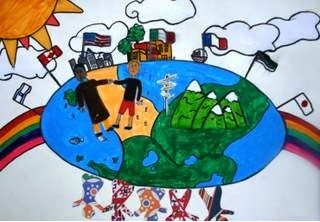 Using art we encourage students around the world to reflect on their own culture and values and to then share these ideas with their peers, we believe this leads to a mutually beneficial exchange of cultural understanding.